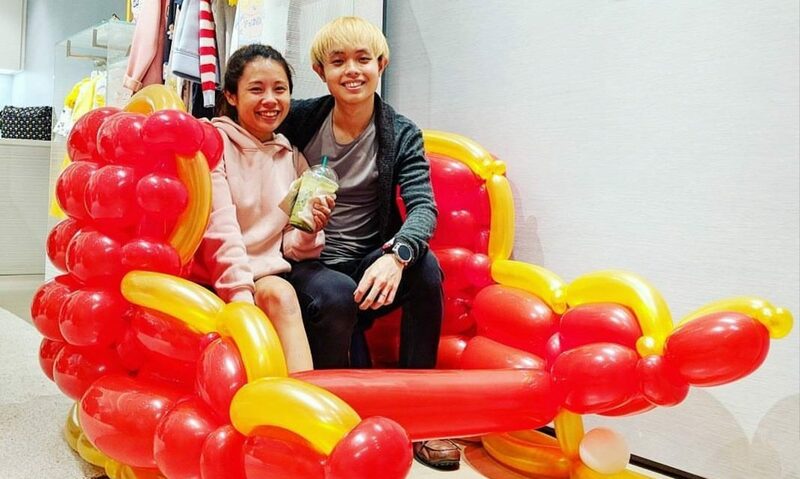 Singapore Balloon Decoration Services – Balloon Workshop – Page 110 – We are one of Singapore's leading professional balloon decoration company with over 7 years of experience! Helllo all! I’m back to update this blog of mine! With a few pictures of my balloon order! I’ve a client that wanted 2 minions, Stuart and Dave, and a pair of Little Twin Stars for her birthday girl that’s coming back from overseas! Little Twin Stars! It’s my first time doing this. Do you like it? Dave holding a banana, it’s not really obvious, because Minions look like bananas. Haha! And I’m really glad that the client SMS me that she really loved the balloons. Thank you very much! Do you want to give something for your loved ones? Something really special that gift shops don’t sell? Look no further and order a balloon gift from me! Whatever the occasion, special or just to surprise someone, we can make anything, from a small little ant to a giant dinosaur to a washing machine and to a human being! You name it, we have it! Call in today to inquire! Hey guys! I’m back again to tell you more about my adventures at Krazy Burgers! It was more fun and more fun! And there’s really a lot of minions. On that day it’s really Minion day, as almost everyone is asking for a minion! Haha, this girl was really happy when she got a balloon, maybe it’s her first time getting a balloon from me. She wanted a dog, looked really like Blue’s Clues. And the boy wanted a gun, so I made a super huge gun for him! Pew Pew! This family was really cute. Especially the baby, and the boy requested something really special, a motorcycle, I didn’t want to do the usual bike. So I took some time a made a different type of motorcycle. Hope the family liked the Minion, Hello Kitty and the special Motorcycle I created on the spot! Made a princess out of Geo Shaped Balloons. Hope she liked it! Made a tiger, a minion and a spider for this family! Happy Dining! Took a photo with this cute little girl with her Minion! I really had a great day at Krazy Burgers! Because I really like challenges, and it’s a very personal thing to go around the table and make balloons for them. Seeing the smile on their faces. It’s really a good sense of achievement and satisfaction. Alright guys! Hope to see you at your next party! Have a great day!